The ABCD Diaries: Celebrate Thursday Family Nights at Ryan’s with Garfield! 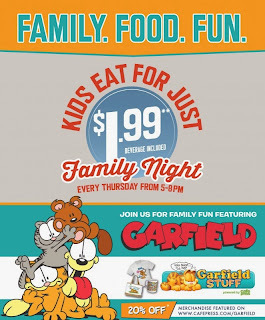 Celebrate Thursday Family Nights at Ryan’s with Garfield! From May 1-June 30th, Thursday Family Nights at Ryan’s, HomeTown Buffet, and Old Country Buffet will be welcoming America’s favorite fat cat, Garfield, to the dinner table. 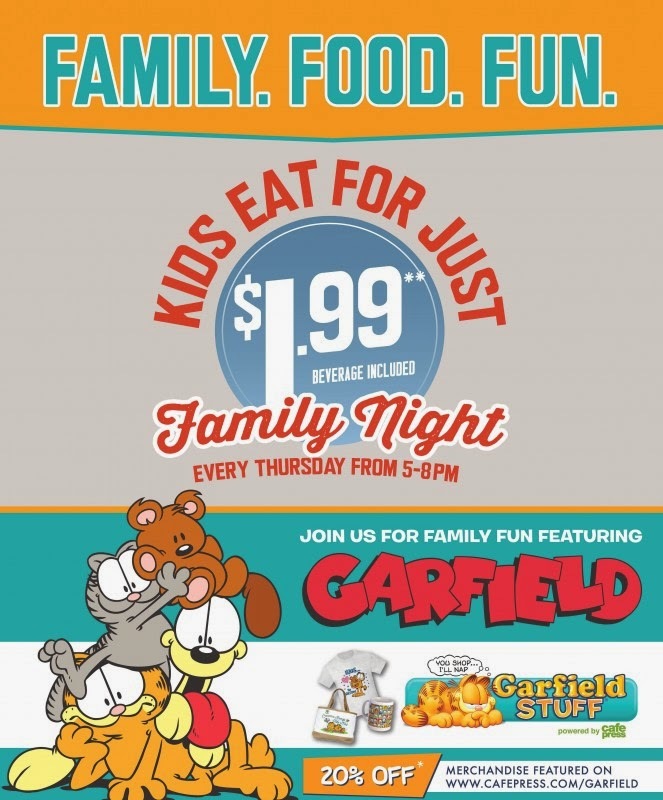 Kids dining at participating restaurants will receive one of three different Garfield & Friends Finger Puppet Perf & Play Activities for free when dining with their families any Thursday evening from 5-8pm, while supplies last. The fun includes Garfield “Perf & Play” finger puppet show activities featuring mazes, games and coloring fun!